Since the launching of the Integrated Evangelistic Lifestyle last year, the Adventists Church in Caraga region are equipping the church to be more effective, spiritualize and loving. Last month, the head office of the Seventh-day Adventist Church in Caraga region has called for a “Preach the Word” seminar intended for the church elders, treasurers and care group leaders of the church. 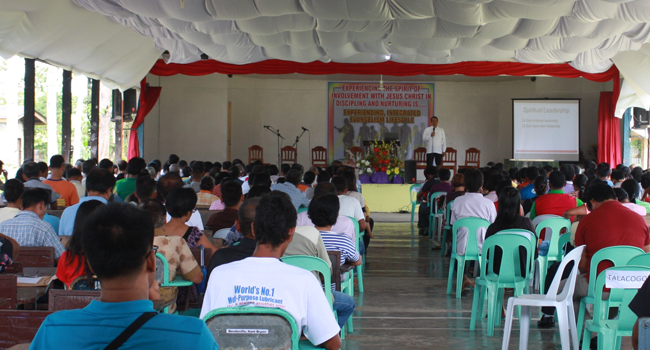 Many attended the seminar conducted by the ministerial department headed by Pr. Asterio Maloloy-on with resourced speakers coming from South Philippine Union Conference in Cagayan de Oro City which serves as the main office of the Seventh-day Adventist Church in Mindanao. Pr. Ephraim Paquibo – shared his expertise on the topic of Integrated Evangelistic Lifestyle while Pr. Danielo Palomares discusses christian leadership. The highlight of the seminar was the recognition of the church elders and treasures that serve the church for two years and above, the ordination of three pastors to the ministry of the gospel and the baptism. Twenty-three (23) church leaders of the Seventh-day Adventist Church, donated blood through the services conducted by the Red Cross and the Health Department of the Northeastern Mindanao Mission (NEMM) at Northeastern Mindanao Academy (NEMA) in Butuan City, Philippines. This happened during the “Preach the Word” seminar for the elders, treasurers and small group leaders of the adventist church last April 23, 2015. Pr. 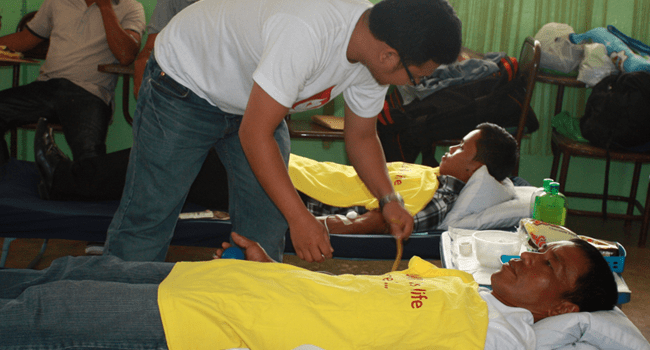 Nimrod V. Saramosing – the Health Director of the Seventh-day Adventist Church in Caraga region, emphasized the need of blood and how the Adventists as a church, can help supply that need. This is a regular activity of the church to promote and facilitate the blood letting every mission wide meeting. 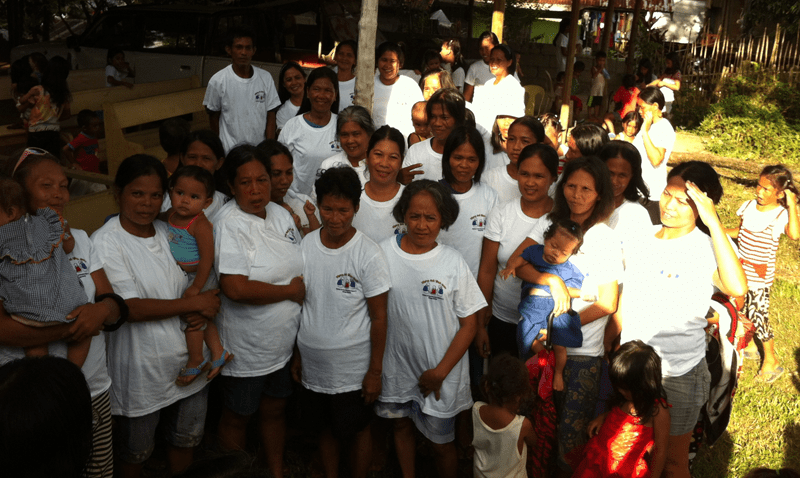 The Shepherdess International (SI) give back to the community of Surigao City last April 19-25, 2015. It was the time for the wives of the pastors and mission workers of Northeastern Mindanao Mission to to preach the word of God. The seminar is packed with livelihood, health and spiritual lectures from different speakers. 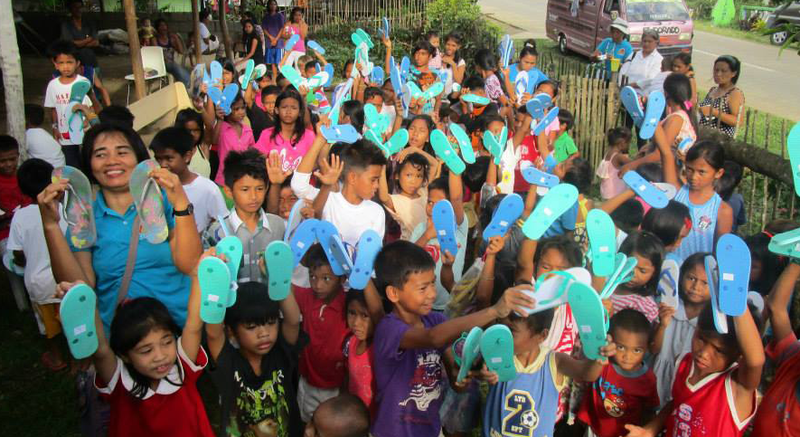 Aside from the nightly lectures, the SI reached out to the children through a “A day of Compassion.” It is a feeding program and giving of t-shirts and slippers at Balibayon, Surigao City. 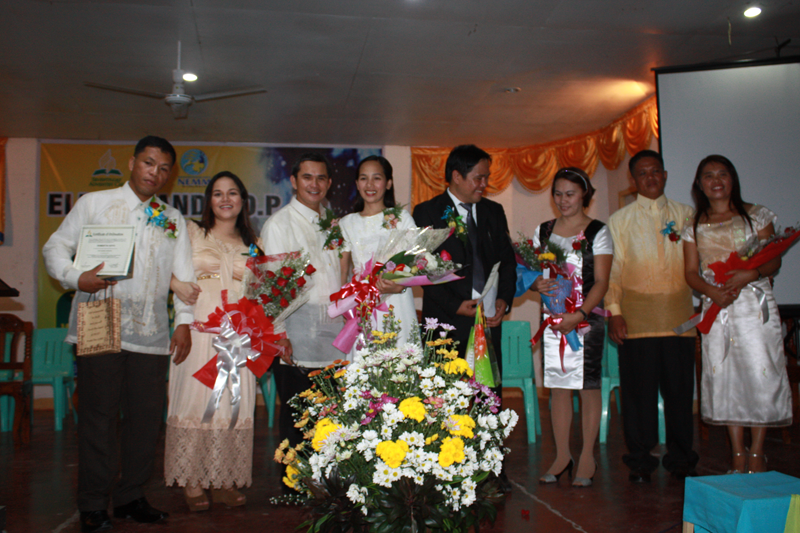 Mrs. Merna E. Pamunag (SI Director) is thankful to adventists in Surigao City district represented by Pr. and Mrs. Nerlou Montero – the district pastor, the speakers/lecturers and to the Shepherdess International (SI) who devoted their time and effort to make this activity possible. 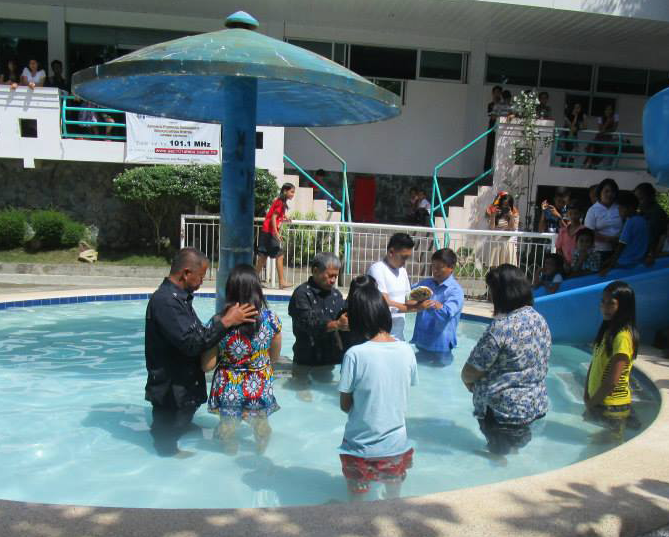 The Holy Spirit touched the hearts of 120 people who came and accepted Jesus as their personal Savior through baptism. For more photos visit and like Northeastern Mindanao Mission of Seventh-day Adventist Facebook page. The Women’s Ministries under the leadership of Mrs. Merna E. Pamunag had successfully launched Pink Ministries for single women aged 15-30. The launching and training was held at San Francisco SDA Central Church last April 16-18, 2015. It was attended by delegates coming from different areas in Caraga Region. This program was made possible to trained young and single women to be instruments in reaching other women who are in need of help. “Programs and activities are really interesting and helpful” said Jessa Dello – a delegate from Mangagoy SDA Central Church. The facilitators and resource speakers provided information on how to reach those emotionally affected women and help build their self-esteem and become happy women. The seminars ended with the dedicatory message of Mrs. Pinky Gulfan – the Women’s Ministries director of the Adventist Church in Mindanao, encouraging every women to reach out and care other women for the Lord. The Northeastern Mindanao Mission of Seventh-day Adventist (NEMM) the main office of the Seventh-day Adventist Church in Caraga Region sent their pastors to Adventist International Institute of Advance Studies (AIIAS) for upgrading. The latest additional to the pastors who got their master’s degree through the program of the Seventh-day Adventist, was Pastor Eliuterio L. Postrero. 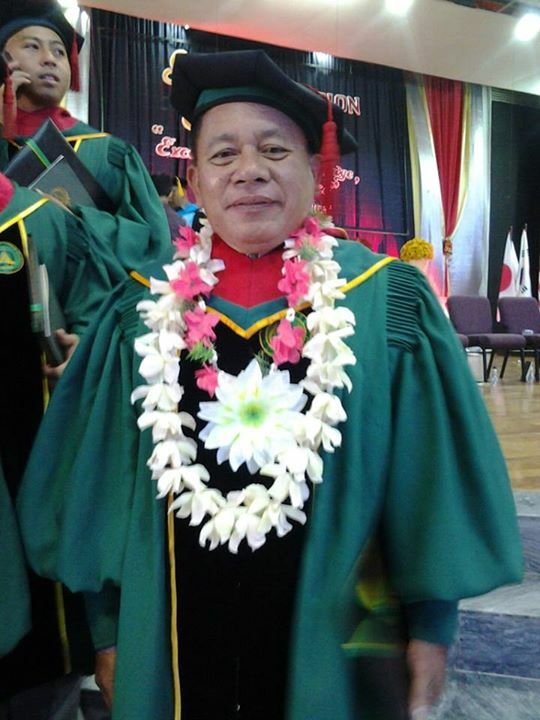 He finished his Bachelor of Arts in Theology at Mountain View College and last March 8, 2015 he finished his Master of Arts in Ministry at AIIAS in Silang, Cavite. Pastor Eliuterio L. Postrero is now assign as a district pastor of Barobo District and pastoring twenty churches. His district covers Barobo, Agusan del Sur and Tagbina, Surigao del Sur. Last December 4, 2014 during the opening of the Spirit of Prophecy and Leadership seminar held at Northeastern Mindanao Academy in Butuan City, four pastors – Pr. Ariel Bagnol, Pr. Robert Goyo, Pr. Victor Ligsay and Pr. Nilo Seda were ordained as ministers to the gospel. The ordination ceremony was performed after the keynote message of Pr. 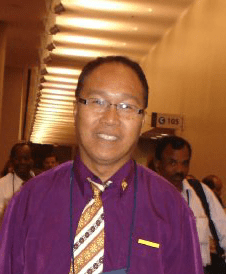 Leonardo Asoy – the president of the South Philippine Union Conference of the Seventh-day Adventist Church (SPUC) that supervise Mindanao. Ordained ministers led by Pr. Ven Bermudez – the Publishing Director of the Southern Asia Pacific Division (SSD), Pr. Leonardo Asoy and Pr. Danielo Palomares – the Ministerial Secretary of SPUC carried out the ordination ceremony. After the ordination, Merna Pamunag – the Director of the Shepherdess International welcomed the wives of the newly ordained ministers to the Shepherdess International – the organization of ministers’ wives. 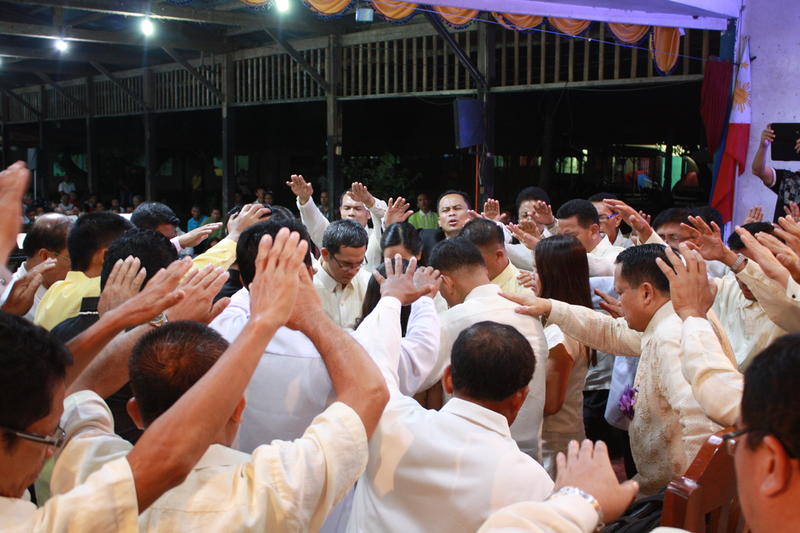 The ordination was a result of the approval of the executive committee based on the decision made by the Council of Ordained Ministers of Northeastern Mindanao Mission (NEMM) chaired by Pastor Antonio V. Pamunag, the president of the Mission. Typhoon Ruby did not stop the delegates from different parts of Caraga Region in attending the Spirit of Prophecy Seminar held at Northeastern Mindanao Academy at Los Angeles, Butuan City. This is a two-day seminar on the topic of leadership, integrated evangelistic lifetstyle, and Spirit of Prophecy. The opening program started Thursday at exactly 7:00 o’clock in the evening with Pastor Eugenio Cubelo – the church pastor of Tamarine SDA Church and Pastor Asterio T. Maloloy-on – the ministerial secretary, officially welcome the delegates to the seminar. The Euphonics Singing Group of Ba-an Central Church, sang the message in song and was followed by Pastor Bernabe M. Caballero, the executive secretary of Northeastern Mission delivers the keynote message. He emphasized the importance of waiting on the Lord which lead to renewed Inward Strength, Outward Strength, Upward Strength and Onward Strength. The congregation then sang the theme song “Revived us Again” and Pastor Eliuterio L. Postrero led the closing prayer. 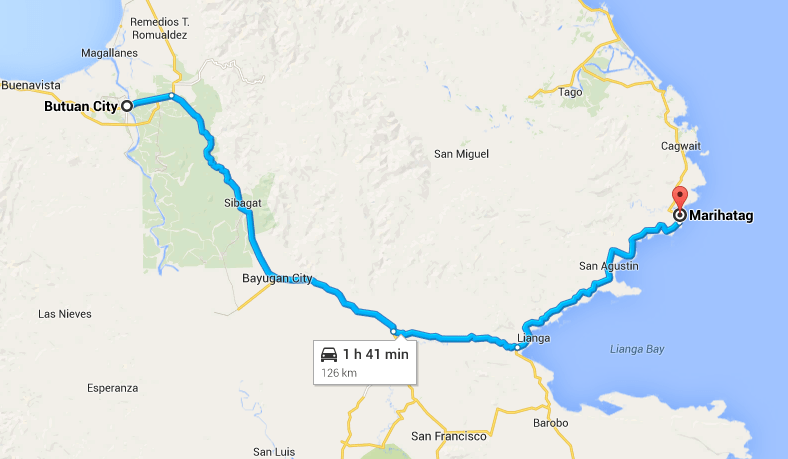 Butuan City – Pr. 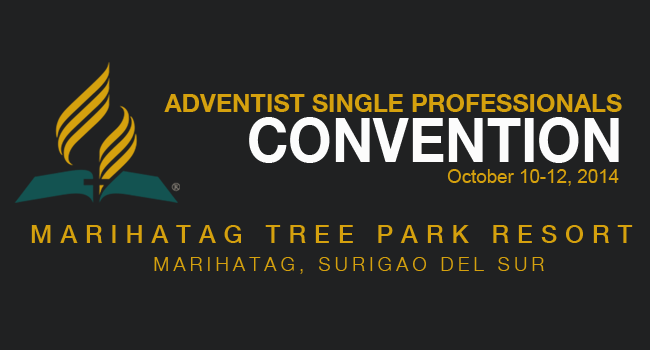 Max Dante Obbus – the youth director of the Seventh-day Adventist in Caraga Region (Northeastern Mindanao Mission) is inviting every Adventist Single Professional to join the convention this coming October 10-12, 2014 at Marihatag Tree Park Resort, Marihatag Surigao Del Sur. This purpose of this convention is to enhance and equip the Adventist Single Professionals for ministry that God has entrusted to us. It is also a great chance to meet other professionals and exchange ideas on different fields. Registration (Php 1,375) – this include food, room, boat, and other materials. Registration will start at 1:00 in the afternoon, October 10, 2014. Butuan City – Elder Antonio V. Pamunag – the president of Northeastern Mindanao Mission of the Seventh-day Adventist that serves the Caraga Region answers the call of the Adventist World President Elder Ted Wilson to make October 11, 2014, a day to pray for the Ebola Virus victims. He is calling all the Adventists in Caraga Region to pray not only on October 11, 2014 but also during personal prayers and 777 prayer. He believes that there is great power in prayer. On behalf of the leadership and membership of the Seventh-day Adventist Church in its 13 world divisions, and indeed the more than 18 million members in 215 countries, I would like to express my deep concern for the people in West Africa who are living under the threat of the Ebola virus—particularly in the countries of Guinea, Sierra Leone, Liberia, Senegal and Nigeria. I am urgently imploring all Seventh-day Adventists around this globe to make Sabbath, October 11, 2014 a special Day of Prayer for our brothers and sisters in West Africa and for the entire population in that region as they face this virtually unprecedented tragedy. Let us pray that God will put a halt to the spread of this virulent virus. Having had the wonderful privilege of living and serving in West Africa with my wife and family for nine years, our hearts go out to the families of the more than 2,800 people who have already died from the epidemic. After news from the U.S. Centers for Disease Control, which projects that by January cases could number between 550,000 to as high as 1.4 million, coupled with a 71 percent fatality rate according to the World Health Organization, we are devastated by the potential of this outbreak to destroy lives. I especially want the Seventh-day Adventist Church worldwide and specifically the church members of the West-Central Africa Division to know that we who serve at the Church headquarters are praying for you, and we are joined by a global family of hope in God’s power to save. There are many initiatives that are taking place on the part of the Seventh-day Adventist Church and its entities to assist in this extremely challenging crisis in West Africa. You will see or hear about these through ANN, Adventist Review, Adventist World, Hope Channel, Adventist World Radio and elsewhere. 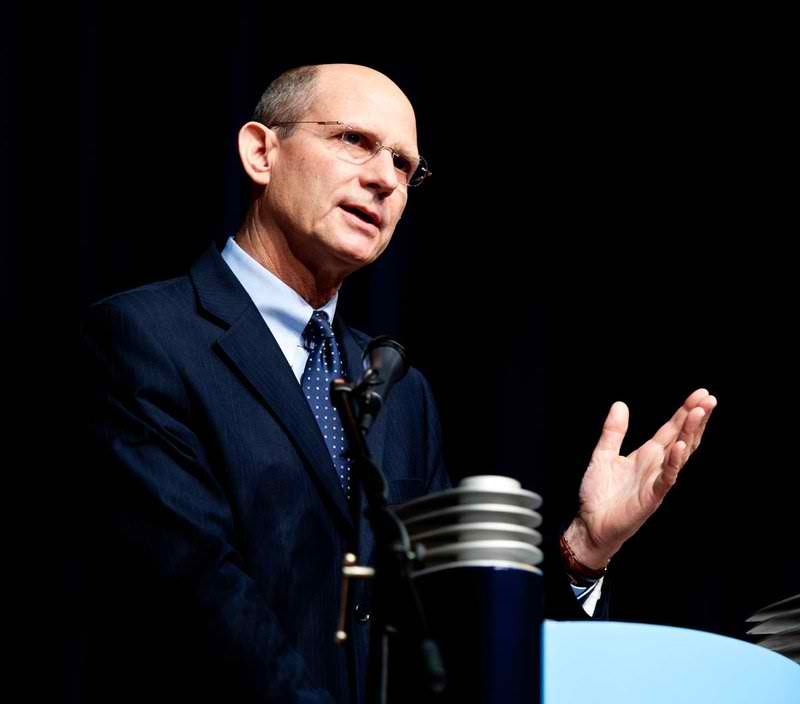 On Thursday, September 25, 2014, the Adventist Development and Relief Agency hosted a prayer event in the Atrium of the General Conference building and were joined by many others via Google Hangout. On October 1, 2014, the General Conference Ministerial Association will launch a global prayer campaign for those impacted by the Ebola virus. People around the world are expressing their support via social media through the hashtag #UnitedinPrayer. On October 11, during 2014 Annual Council, there will be a live connection between the many world leaders who will meet at the General Conference headquarters in Silver Spring, Maryland, and Pastor James Golay, the president of the West African Union in Monrovia, Liberia. He will be staying in Liberia with our church members to encourage and support them during this very traumatic time instead of attending the Annual Council but will be connected electronically with the meetings. He will share with the world leadership a first-hand report about the critical situation in his territory of Guinea, Sierra Leone and Liberia where we have 33,000 Seventh-day Adventists. After the report from Pastor Golay there will be a special prayer emphasis for those living facing this devastating situation. Please remember the special Day of Prayer on Sabbath, October 11, 2014, for West Africa as the population confronts the rapidly expanding Ebola challenge. In all of this we want those in West Africa to know that, not only during the Sabbath prayer emphasis, but day-by-day, hour-by-hour, the people affected by this crisis will be lifted up in prayer to our Creator, Savior and Master Physician. Let us earnestly pray for the latter rain of the Holy Spirit and the proclamation of the three angels’ messages, which will point people to Christ’s soon coming when illness, diseases, the Ebola virus, fear and death will be conquered through God’s almighty power to save for eternity. Even so, come Lord Jesus! CARAGA ADVENTIST YOUTH ORGANIZATION 2 commonly known as CASAYO 2 is an Adventist Youth Organization in the areas of Barobo District, Hinatuan District, Bislig City District, Mangagoy District and Lingig District held their fellowship at Mangagoy Seventh-day Adventist Central Church, Mangagoy, Bislig City, Philippines last August 15-17, 2014. Youth coming from five different districts arrived for the weekend of spiritual revival and community service. The program started on Friday evening with the message of Pr. Meljoie R. Pepito – the district leader of Mangagoy District, encouraging the youth to LOVE, CARE and SERVE. Pr. Max Dante Obbus – the Youth Director of Northeastern Mindanao Headquarters that serves CARAGA Region, spoke during the Sabbath Worship. He encourages the Adventist youth to break all the barriers, shun all the differences, spend more time in prayer and be united to God and aim to be of service to the community. Pr. Raul Narvasa – the district leader of Lingig District spoke during the commitment service encouraging the CASAYO 2 to give their best for the Lord. On the eve of Saturday, a Grand Social Gathering was held in Mangagoy Baranggay Gymnasium, which was participated by the youth. Right: Gaga Guerra – checking the blood pressure. 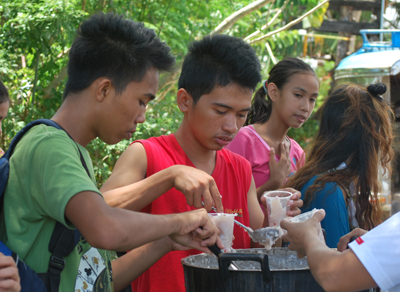 The renewal of their commitments to the Lord prompts them to participate in a community outreach program at Dampingan, Mangagoy, Bislig City. 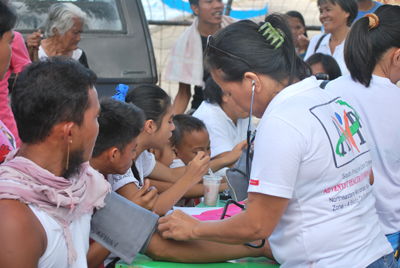 They offered free health checkup, counseling and feeding to almost a hundred residents of Dampingan. The youth did it with the full support of the Adventist Health Professionals and Adventist Community Service in Mangagoy Seventh-day Adventist Central Church. The residents of Dampingan were very happy that the services of the Seventh-day Adventist reach their community.